I came upon a thought-provoking quote by Taruskin about Bach's music: It's a "a medium of truth, not beauty:" Bach didn't make great music for music's sake, but as a mean to honor God. So, his goal wasn't to make beautiful cantatas, but to faithfully express the theological message included in his music. Some of Bach's music could also be quite inharmonious to express doubt, despair that later would be redeemed through God (at which point the music becomes more pleasant). Likewise, I would agree that Chaxi perfection is to aim for truth rather than for beauty. 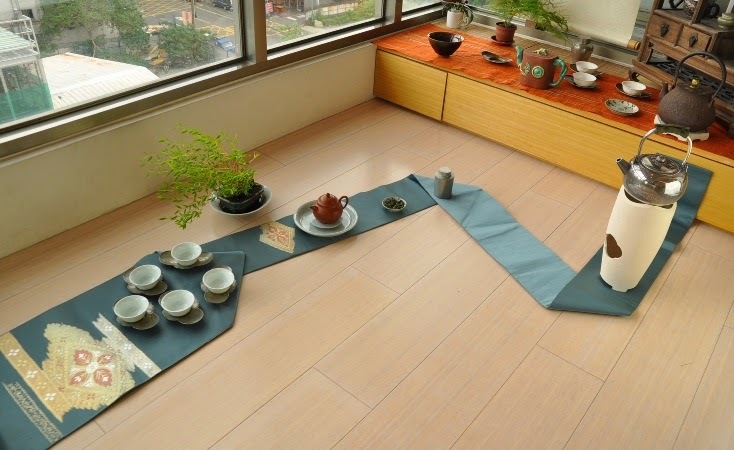 The goal of the Chaxi (the tea setup) is to truthfully express the character of the tea. 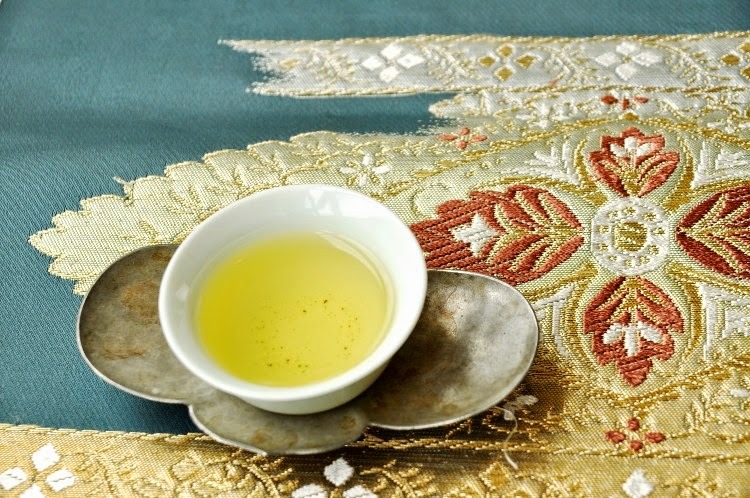 This truth finds it ultimate expression in the cup and then in the feelings we experience. Bach wanted to persuade and convert his audience to find faith in God. 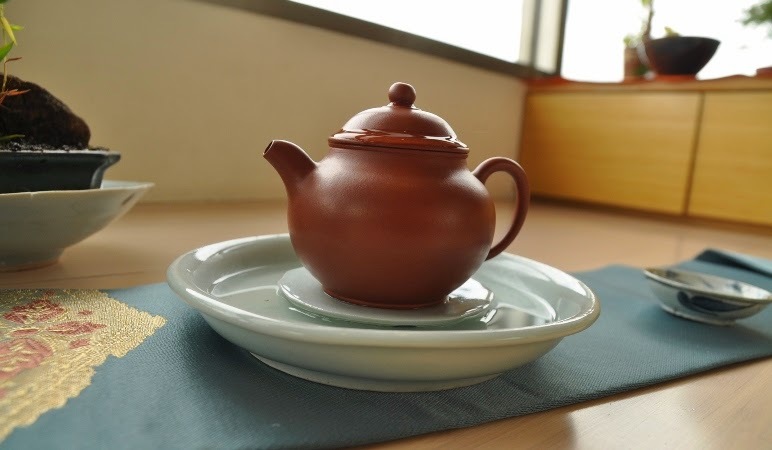 Likewise, a (good) tea well brewed should be so brilliant and powerful as to convert non tea drinkers to tea. 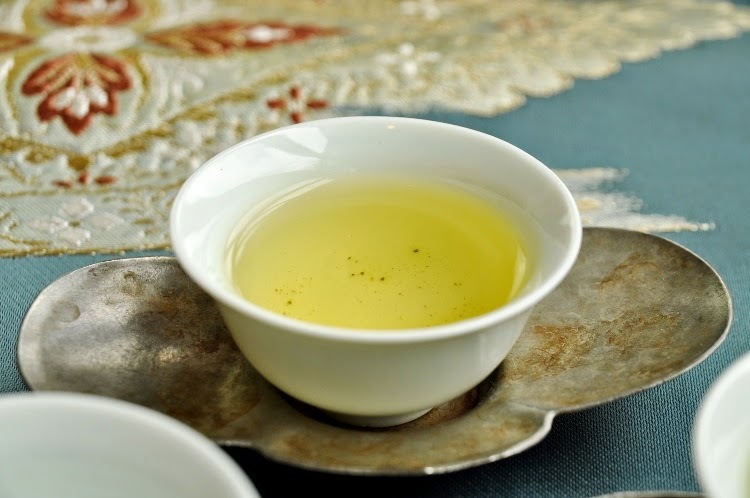 The goal is to make real tea lovers and that's why it's important to use the truth. People who want simply to seduce (for a short period), use artificial flavors! 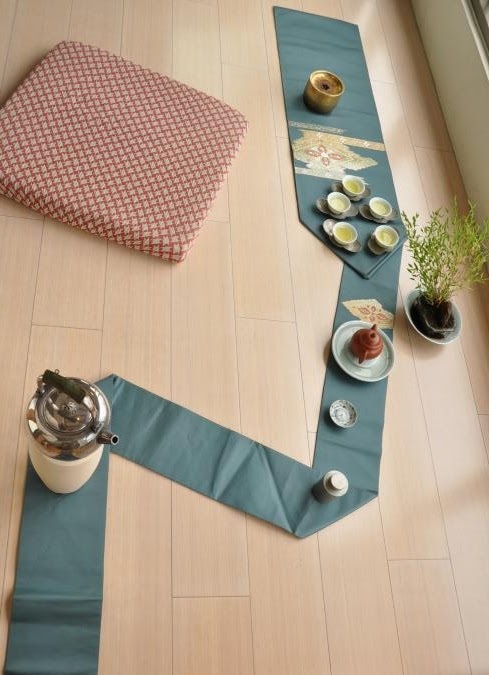 Any good tea is suitable for this approach. 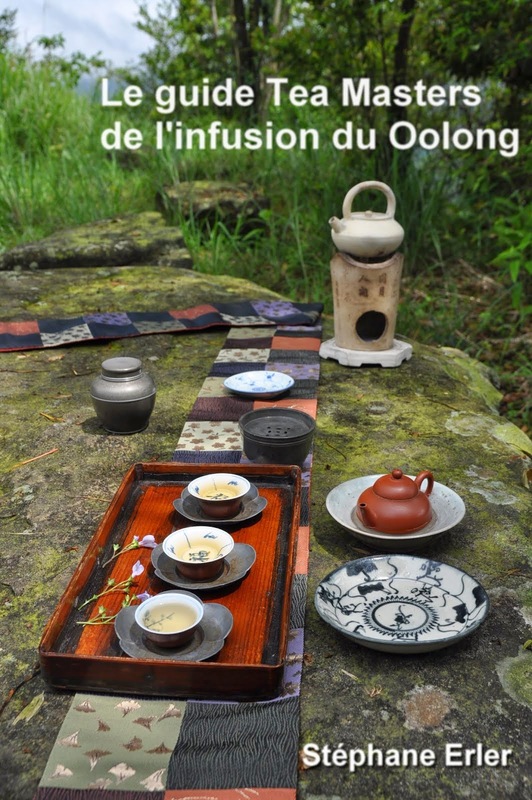 But if I wanted to touch a non-brewer with something 'brilliant and powerful' than I think that this Spring Ali Shan Oolong from Chang Shu Hu (1500 meters elevation) is a good fit. 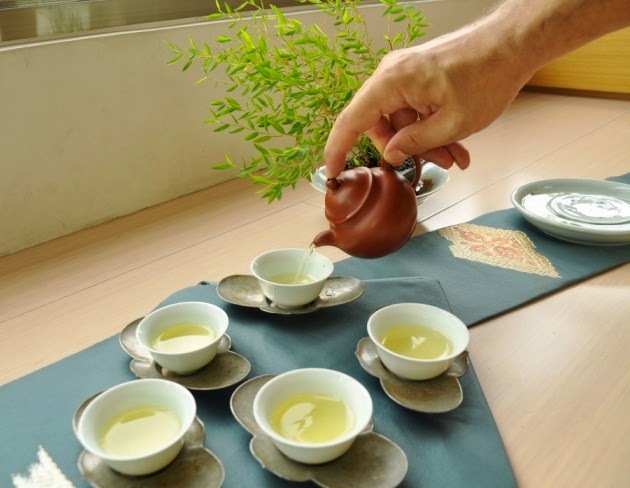 And to express its floral and buttery character a baotai zhuni teapot is a great choice. 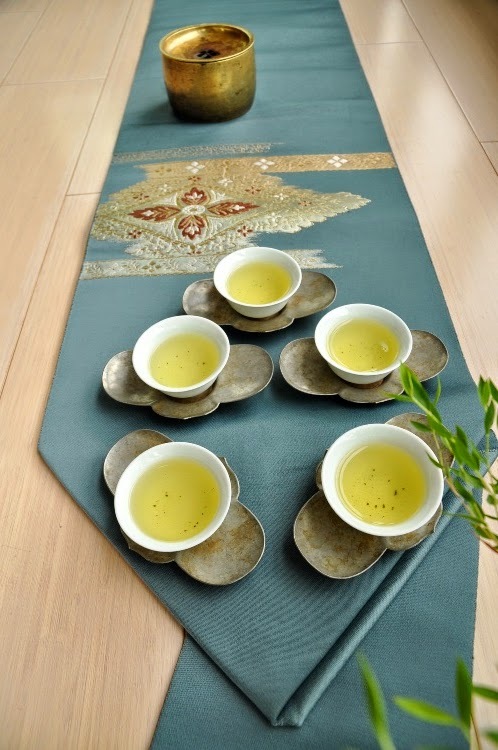 I'm using my light celadon classic cups. Their light green color enhance the fresh feeling. (See this article about the importance of color). 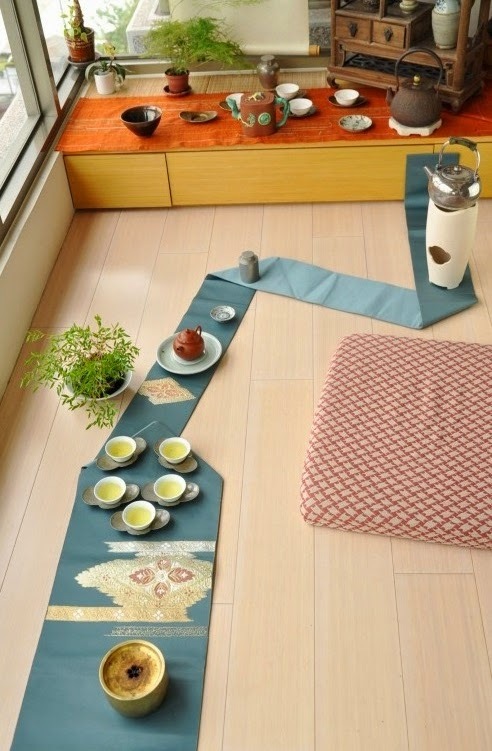 A long, dark turquoise kimono belt serves as my Chabu (tea cloth). Turquoise is a symbol for clarity and energy (like the high mountain sky in spring). 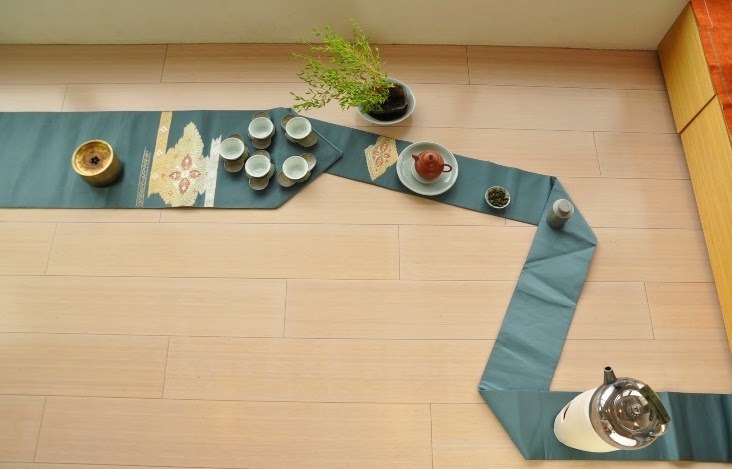 It feels like a path that takes turns to arrive to a seasonal fall color Chaxi. Teapot and cups seem to point to each other. They are made for one another. Between them, nature finds a central place in this experience. 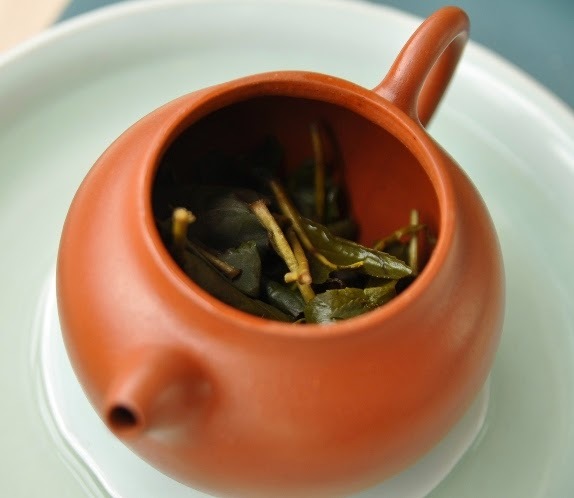 To truthfully express the fine character of these leaves, you can see that the leaves have opened up well (after the first long brew) and that they are not completely occupying the volume of the teapot. 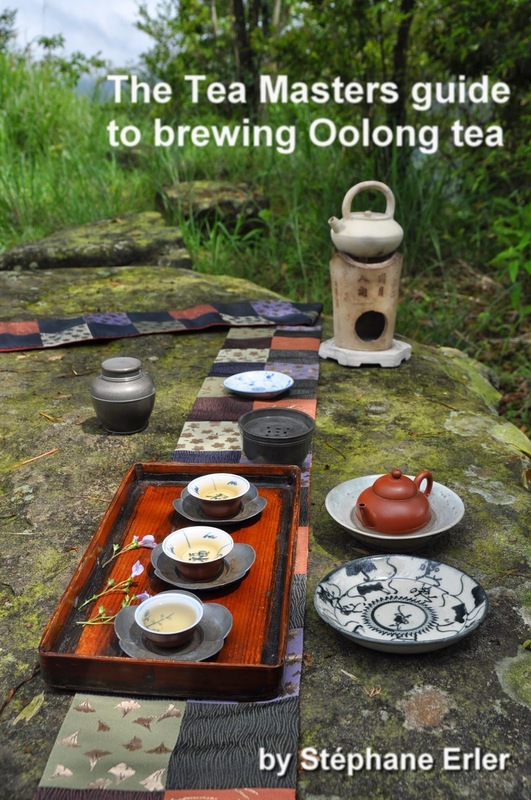 This long brew makes sure I obtain all the aromas from these leaves and not just the lightest. This is made possible by having leaves that are very concentrated and very pure. It's good all my tea, as Bach might say! Even without the second-rate joke, this is a tea that brings a smile to the face! And what an endurance in the aftertaste! The position of the kettle was quite practical to grab with my right hand. When making a larger Chaxi, it makes sense to organize the setup in a semi circular shape to have everything at arm's length. 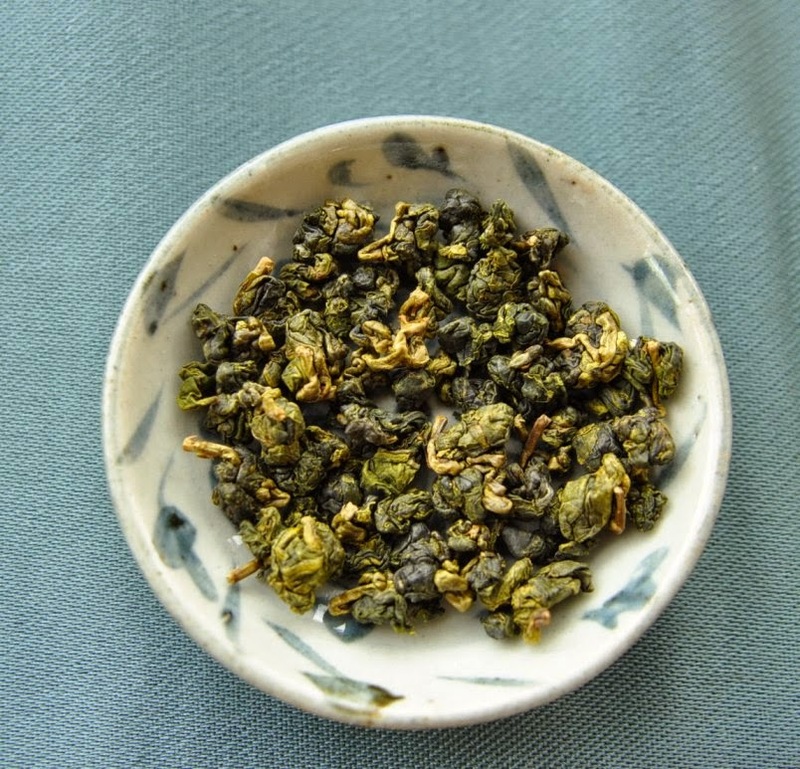 All points that I have done a good job expressing the true fresh, flowery and energetic character of this High Mountain Oolong! The real beauty is the one we taste from the cup. Dear Stéphane, I think the Japanese obi is very chic, and its length gives you a lot of scope. Thank you also for the Bach reference and Richard Taruskin, who I did not know, so it was a pleasure to look them up and understand a little more. Thanks for your comment. 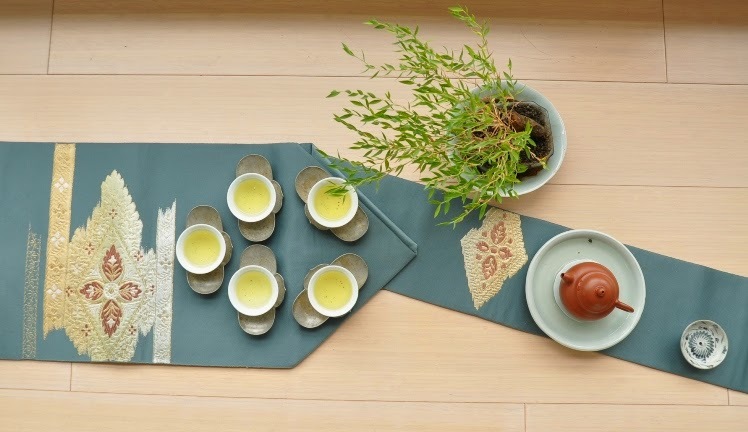 The Japanese Obi is indeed very chic and I don't hesitate to use it with Chinese tea since, like for tea, the origin of such piece of clothing is old China!